After you have specified schedule settings, click Create. 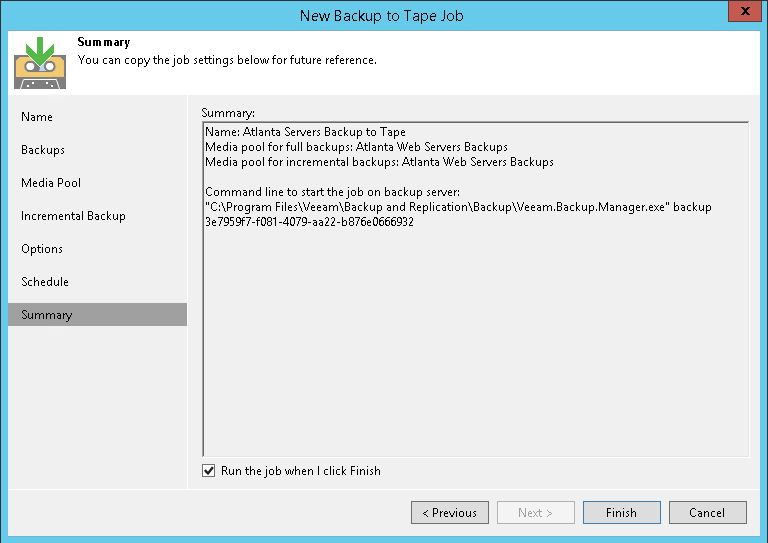 Select the Run the job when I click Finish check box if you want to start archiving backups to tape job right after you complete working with the wizard. Click Finish to close the wizard.